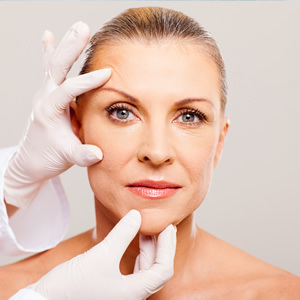 Learn if you're a good candidate for the LA Lift®. What are your sinus symptoms? Painful sinus symptoms can make your life miserable. 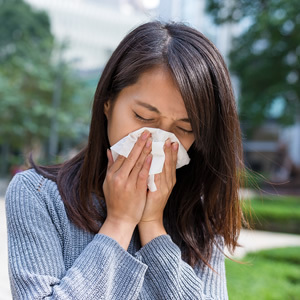 Learn more about your level of sinus symptoms. 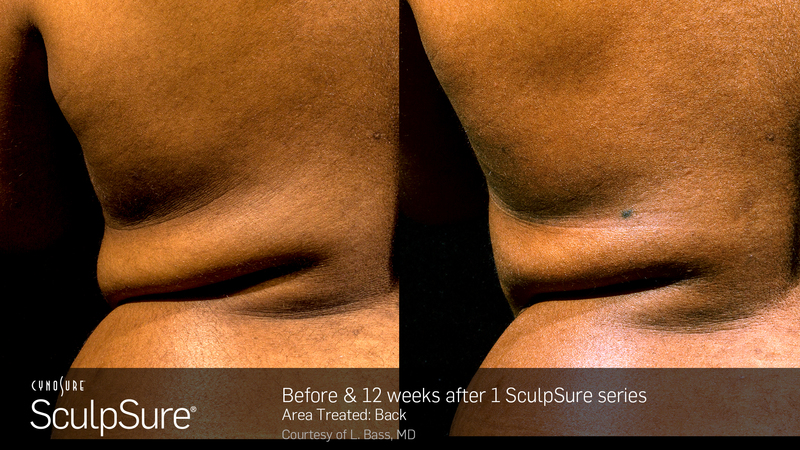 Body contouring technology has now advanced to help you attain the natural-looking, slimmer appearance you want! 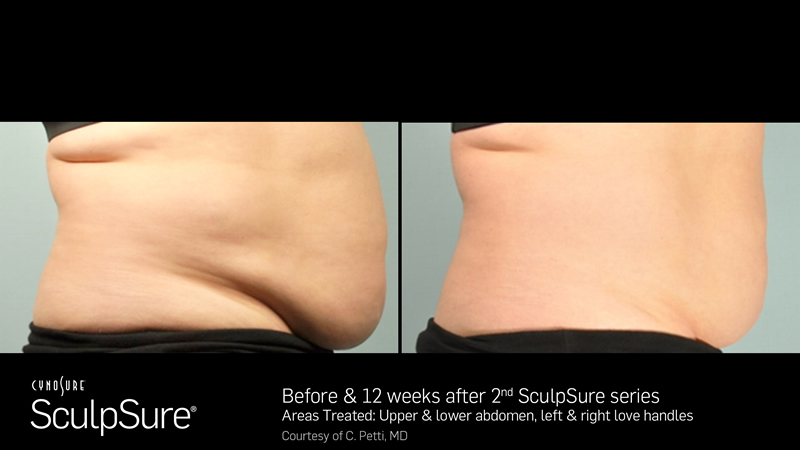 SculpSure is a non-invasive laser body contouring system for people with stubborn pockets of fat that seem impossible to lose, even with diet and exercise. 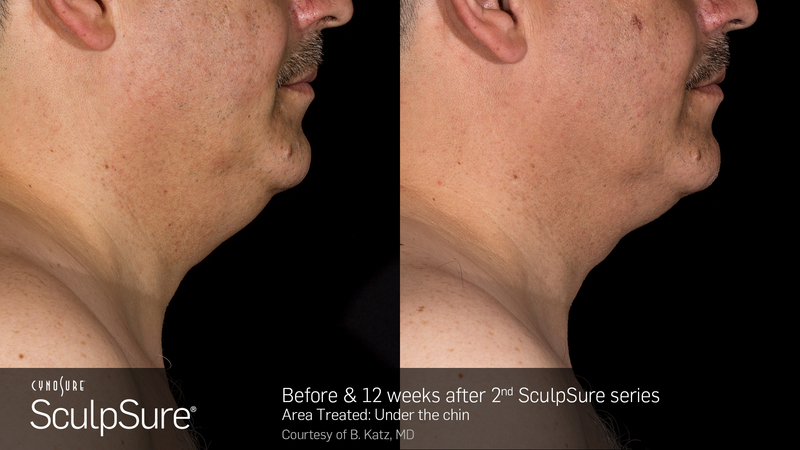 SculpSure is FDA-cleared to reduce fat in the belly, love handles, back, thighs, and now under the chin. 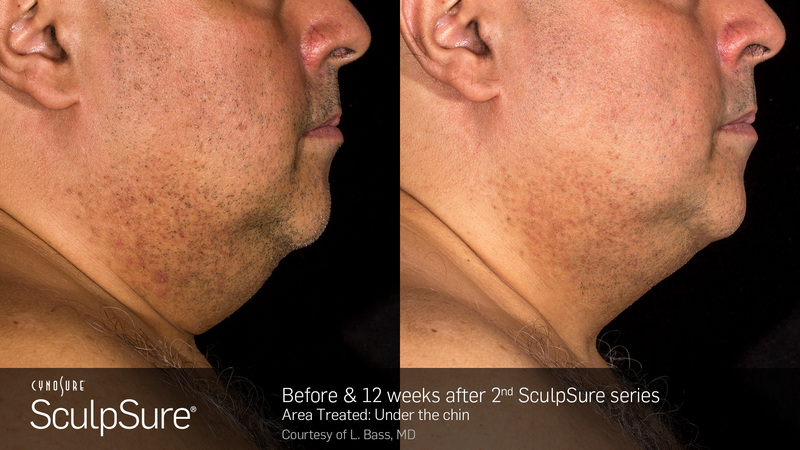 Destroys fat cells permanently in just 25 minutes per treatment area without affecting the surface of your skin. No post-treatment recovery period or down time. It’s simple, efficient, effective! 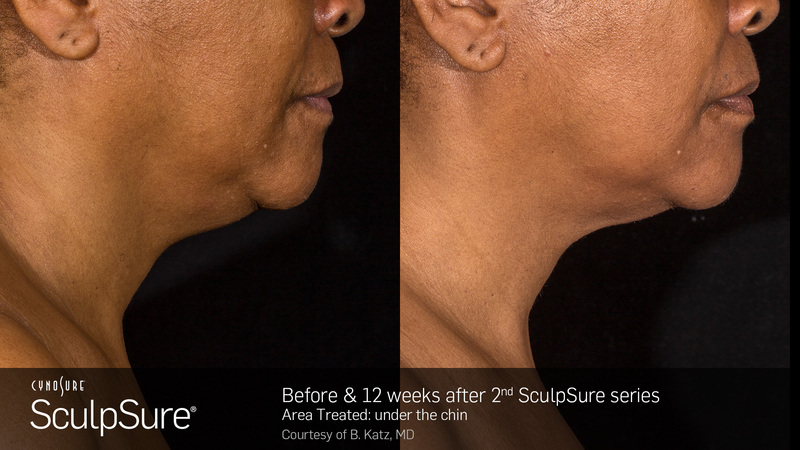 SculpSure is now also FDA-cleared to reduce the fat under your chin, called sub-mental fat. 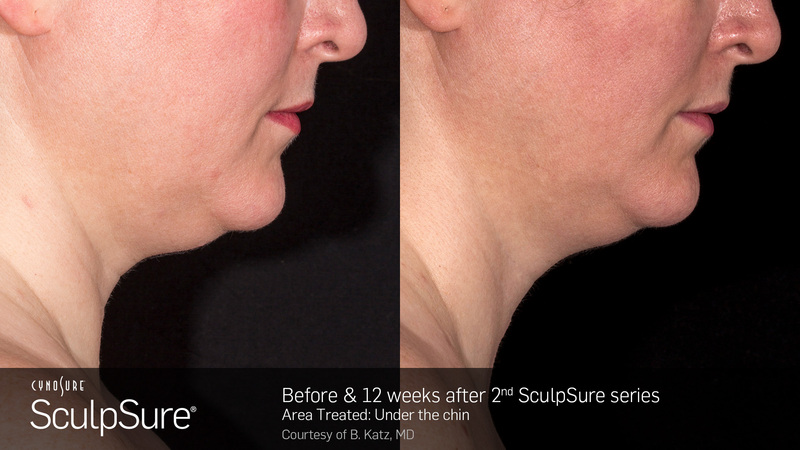 Dr. Keefe became the first in the State to offer this proven and effective treatment for under the chin. 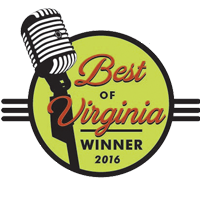 Dr. Keefe and his team of skilled sinus and cosmetic care specialists are ready to answer all of your questions in a friendly, relaxed environment. What’s the difference between fat loss and weight loss? The number of fat cells stored in our bodies typically remains constant throughout adult life. 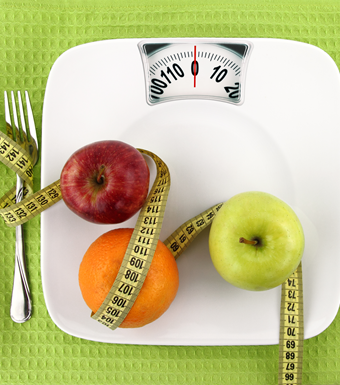 So, as you lose weight, fat cells become smaller in size but do not decrease in number. Even with conscientious diet and exercise, many people have difficulty losing weight in trouble areas. 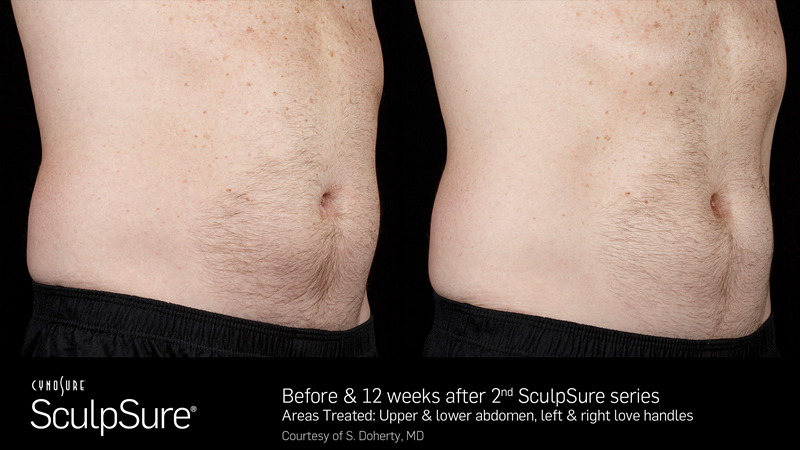 With SculpSure, those troublesome fat cells are permanently destroyed 2 and will not return. 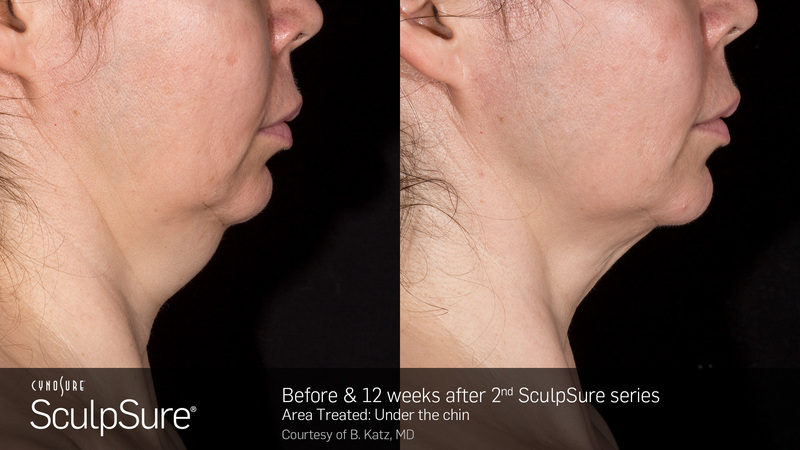 Patients may start to see results as early as 6 weeks following treatment as the body begins to eliminate the destroyed fat cells, with optimal results usually seen at 12 weeks. 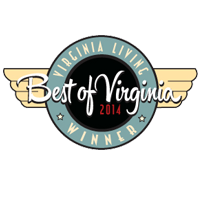 Most patients will need multiple treatments to achieve optimal results. 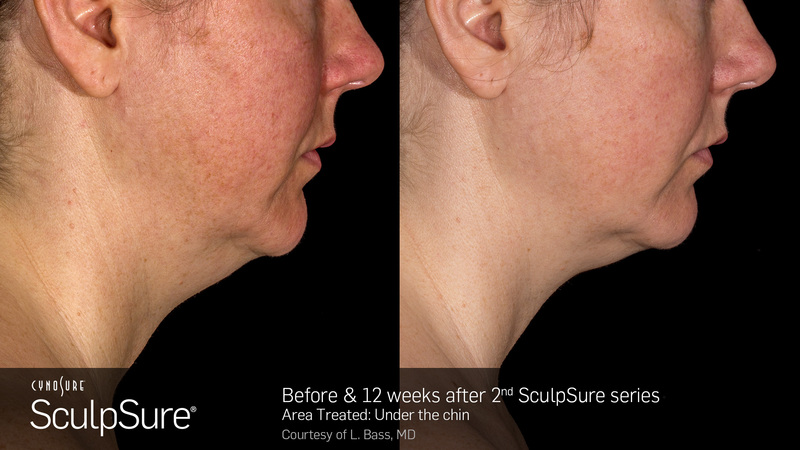 Targeted laser energy heats fat cells under the skin while leaving the skin’s surface unaffected. 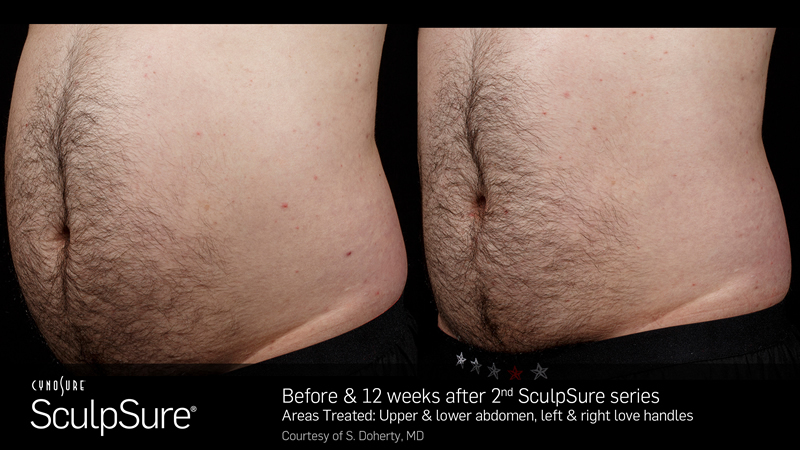 Fat Cells are destroyed as SculpSure raises the temperature of the fat cells, damaging their structural integrity. Fat Cells are eliminated over the next three months as they are processed by the body’s lymphatic system. Fat cells will not regenerate. 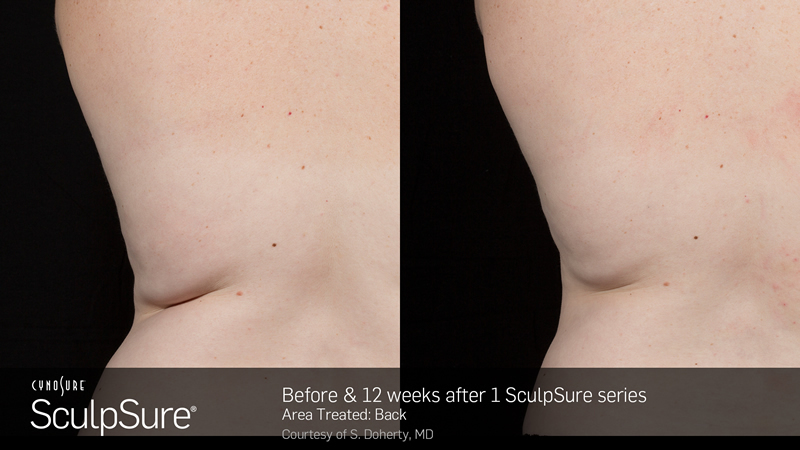 You can see results as quickly as six weeks, with optimal results typically being reached at 12 weeks. 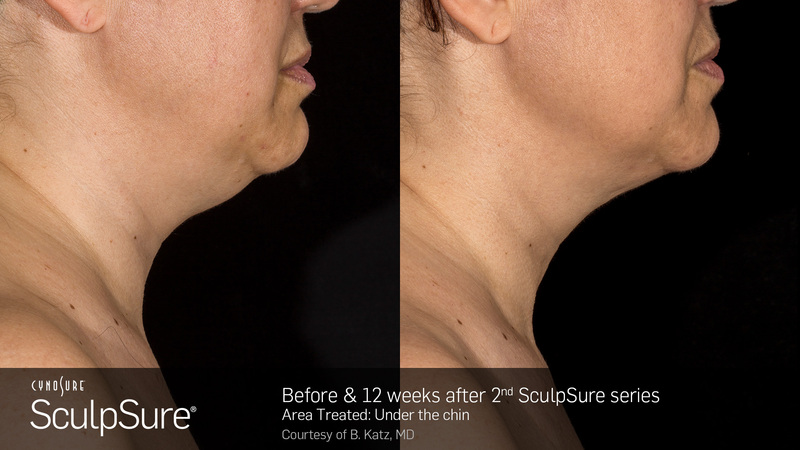 SculpSure offers you so much more! Single treatment of average reduction in fat volume as measured by MRI; Clinical and Histological Evaluations of a 1060nm Laser Device for Non-Invasive Fat Reduction – John W. Decorato, MD., F A C S. Rafael Sierra, Ph.D., Bo Chen, Ph.D., Westford, MA, 2014. 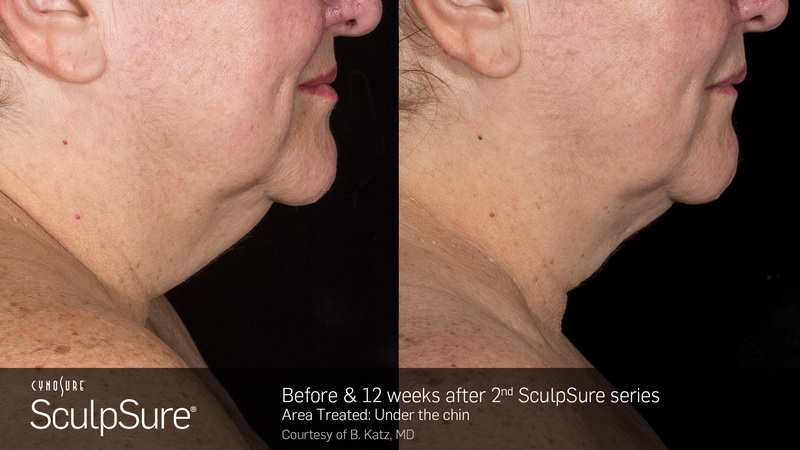 Katz B, Doherty S. A multicenter study of the safety and efficacy of a non-invasive 1060 nm diode laser for fat reduction of the flanks. Paper presented at: 2015 Annual American Society for Laser Medicine and Surgery Conference; April 22-26; Kissimmee, FL. 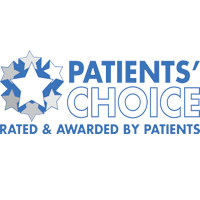 Average patient discomfort rating of 3.7 on a scale of 1-10; Bass L, Doherty S. Non-Invasive Fat Reduction Of The Abdomen With A 1060nm Diode Laser.Paper presented at: 2015 Annual American Society for Laser Medicine and Surgery Conference; April 22-26; Kissimmee, FL.